This is the news category intro text. Interior renovations are typically not taken on lightly. The result will reflect your style and personality and any project is an investment of your time and resources. To effectively modernize any internal space, it’s important to feel confident about the approach you will take for change. 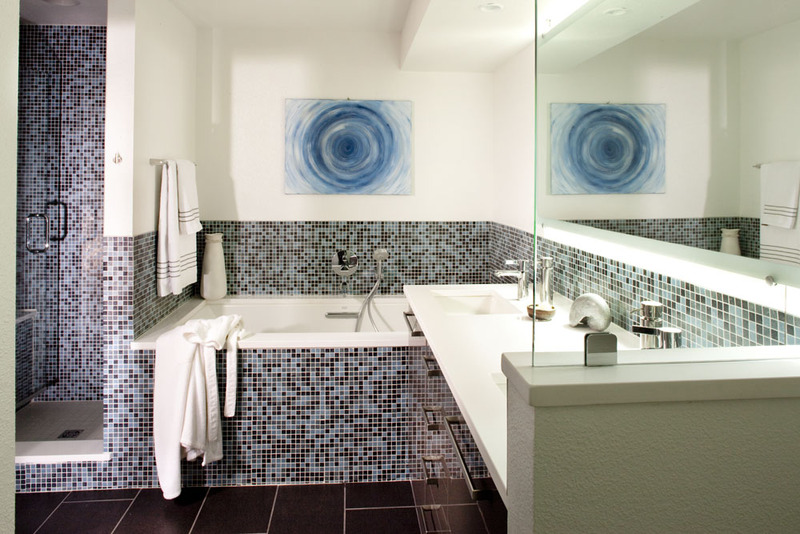 Interior design and interior decorating are different resources you might pursue. While the terms are sometimes used interchangeably, they are two, uniquely different resources available to you for renovation projects. Interior designers are multifaceted professionals that deal with the conceptual development and space planning, furniture design, structure, lighting, textile and color selection, and use of a space. Interior designers use drawings, blueprints, and 3D computer-aided design (CAD) and building information modeling (BIM) tools to provide comprehensive plans that explore and bring a vision to life. Interior designers are educated and degreed (as many states require licensing to practice). You can expect an interior designer to serve as a project manager for a renovation, working with architects and contractors to not only enable a smoother renovation project but, more importantly, that the design is achieved per the agreed plan. On the other hand, interior decorators are not required to be degreed professionals, have formal training, or hold a license. Decorators tend to provide services after structural planning or construction has taken place and focus on providing direction for the aesthetic look of a space. Many decorators have received training on color schemes, fabric options, and furniture styles. As you consider your renovation project, a simple way to identify the type of help you may need is to examine the project itself. Exploring the project characteristics, and your view on how you would like to feel about the result, can help you determine what is best. 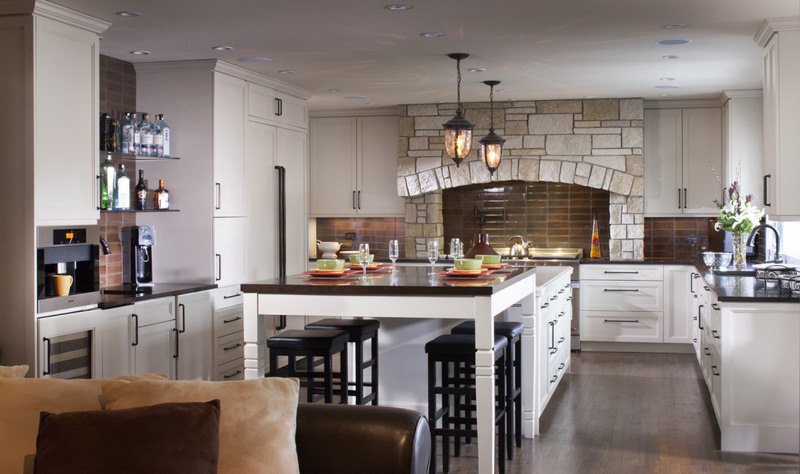 Are you undertaking design for new home construction, remodel or whole-house update? Will your project include structural changes? Is the project complex and needs project management? Are you seeking a personal and unique style that will permeate throughout a home? Interior designers are qualified to work with architectural spaces, develop spatial designs, traffic flow, fixtures, and furniture. Working with an interior designer on large-scale renovations ensures the project is functional, safe, and beautiful. As interior decorators focus on paint, fabrics, and accessories, larger projects may miss the benefit of a comprehensive and cohesive look throughout the property. If you are confident about your style and how your home might reflect your life, partnering with an interior designer provides many unique advantages. At Michelle Riviera Interior Design, I’ve helped clients realize the potential of their interior design projects for more than 20 years (both for homes and commercial properties). With expert skill and considerable experience, I work closely with my clients to transform properties into the home of their dreams. Contact me to explore just what you can expect from your renovation! Thinking of jumping on the remodel bandwagon? Here are some things to consider. Hire a design professional. Interior Designers specialize in interiors while Architects focus on altering the building envelope. Engineers establish the structural requirements that the new design creates. A remodel rarely needs all three professionals. Consider who’s a best fit for your project. Take your time with the design. Clients and contractors often want to start right away. If you take your time with the design phase of the project you will be able to better control costs and be happier with the finished product. Be realistic about time and budget. There are many home remodeling show out there that are misleading about both of these components. Your contractor and design professional can give you accurate information about what to expect in your area. Identify local city requirements that will affect your budget. Foam insulation, aluminum wiring, sink limitations and low flush toilets are just a few of the items you may encounter. Be prepared for for surprises. The best planning in the world will not prevent you from having them. They are a part of remodeling. Seriously consider moving out. It will add to the cost, but significantly lower your stress level. Finally, remember you and your team are creating a custom, beautiful living spaced based on your desires and how your family lives. I have clients come up to me years after we worked together to tell me how much they enjoy their space. With planning, patience and realistic expectations you can that dream space you’ve always wanted! Anyone whose been to a paint store knows there are literally thousands of paint colors. Designers love the options. Paint is the most flexible aspect of creating an interior space. However, for most home owners, choosing a color can be daunting. When a designer picks out a paint color, they already have the rest of their finishes selected for the project. Because of paints flexibility, it is the last item we specify. When a home owner picks a paint color, they usually have an idea in mind or a direction they want to take the space. They go to the store, grab a swatch or two, come home, and find the colors look completely different in their space. Frustrating! Look at the paint deck in the space you want to paint. Let’s say you want to go more grey. Look at the grey section of the color deck. Hold the deck next all of the finishes that are staying in the room. How do the colors you like look with the floor, your sofa fabric and chairs. DO NOT hold the paint swatches up against the current paint color on the wall. The current color won’t be there when you paint and is influencing the color on the swatch. You may discover that you current finishes and materials won’t work with the color direction you want to go. Is there one finish you can change with the paint that would make the biggest difference? A very yellow tile, perhaps? Refinish the floor? Another option is to start with you current colors and work toward the grey swatches. It may be not as dramatic, but still fresh. Add some new accessories, throw pillows and maybe a rug to support the new color direction. Pay attention to how dark the new color is. How is that going to effect your space? Can you add some light? Would a lamp do the job? Consider using a dark color on an accent wall. Remember, a little green, blue or purple in you grey will translate to a lot once its on your walls. Once you’ve narrowed down your choice to 3 or 4 swatches, go to your paint store and get paint samples. Paint the samples on a piece of white paper board from you local craft store. Cut the samples so that each is separate and there is not white around the sample. Finally, consider professional advice. Many interior designers will consult. Keep in mind a consulting fee is usually higher than a typical design fee, in order to make the trip feasible for the designer. Designer look at color all of the time and can spot subtle differences in paint that you may not. If your time is valuable or you would rather be doing something else, this is an important consideration. 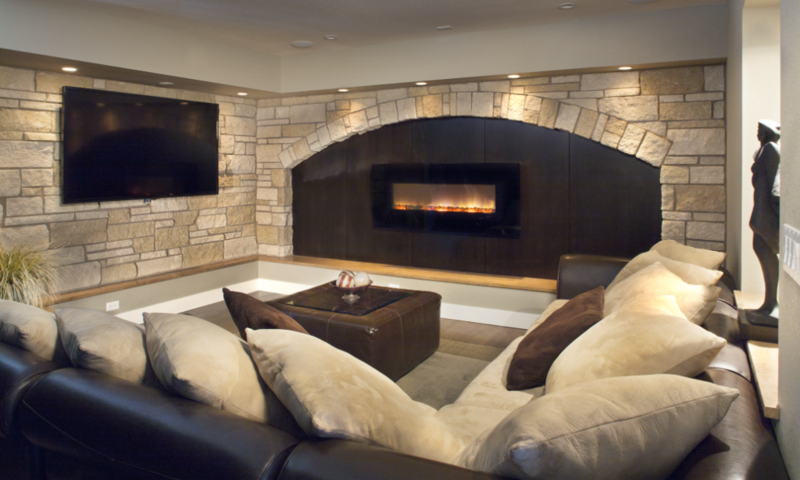 “We've had the pleasure of working with Michelle on projects over the last ten years- everything from a large remodel to designing new built-in bookshelves. Not only does she have a great eye for design, but she's fun to work with and understands a budget. We really can't recommend her highly enough!"